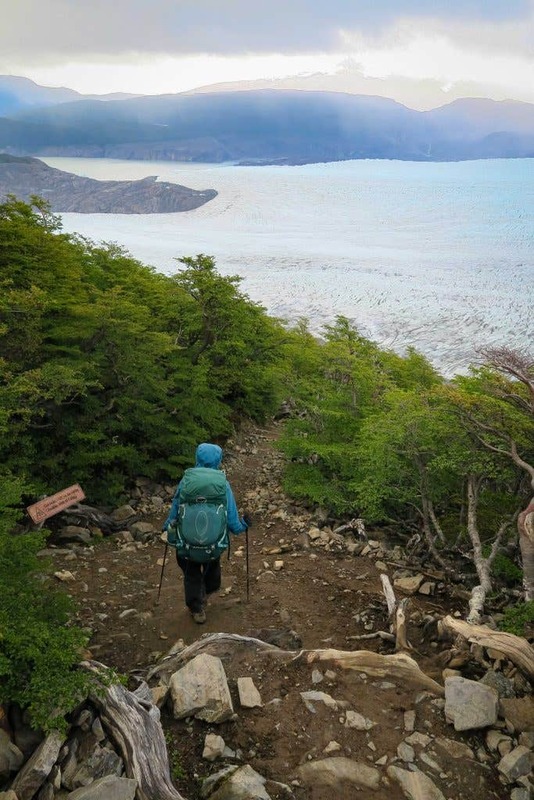 The Torres del Paine Circuit in Patagonia is consistently voted as one of the best hikes in the World and in January my wife and I spent 9 days hiking the “O”. We had everything from sunshine to snow, 95km + winds and amazing views around every corner. 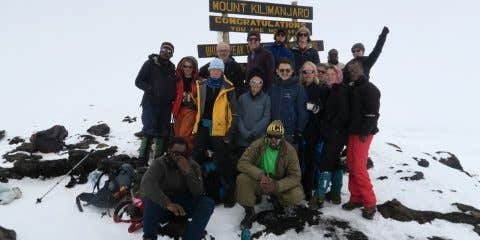 Upon our arrival home many friends have asked how we organised the trek from Australia and still did it independently from a tour group. 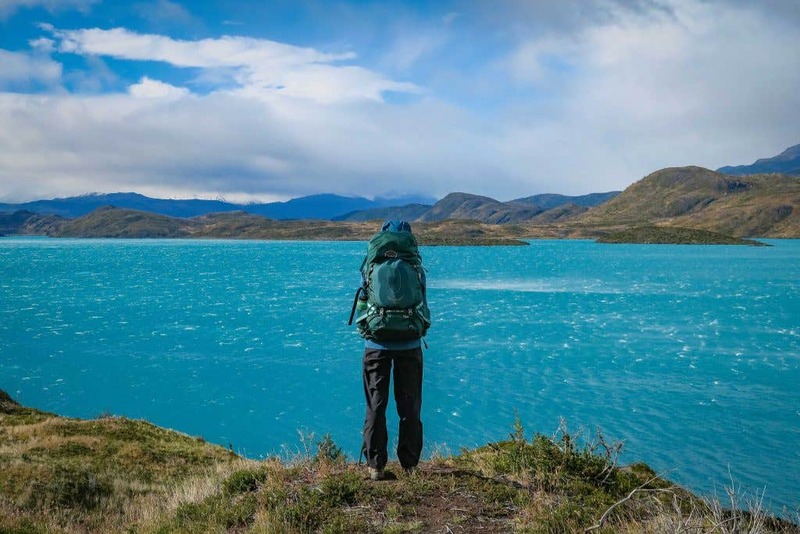 With that in mind here are all our secrets on how to hike the Torres del Paine “O” Circuit in Patagonia. 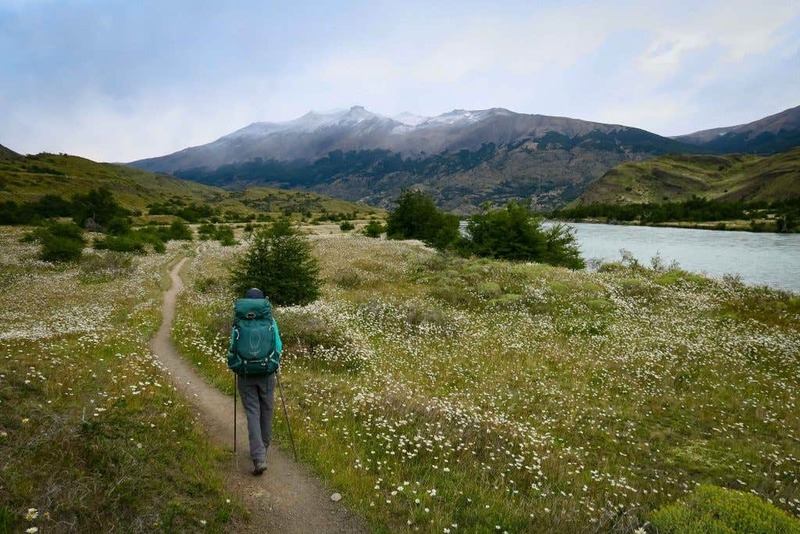 Most people (80% of all visitors) will visit the Torres del Paine National Park during the Summer high season which runs from October 1 to April 30, while the Winter off season begins on May 1 and ends on September 30. While the small crowds in the off season may sound enticing, very short hours of daylight, extreme weather and the closure of many of the hiking trails will mean you are likely to join the masses in Summer. There are 2 main multi day hiking options at the Torres, the “W” or the “O”. The busiest option is the “W” which visits the main landmarks of the park. 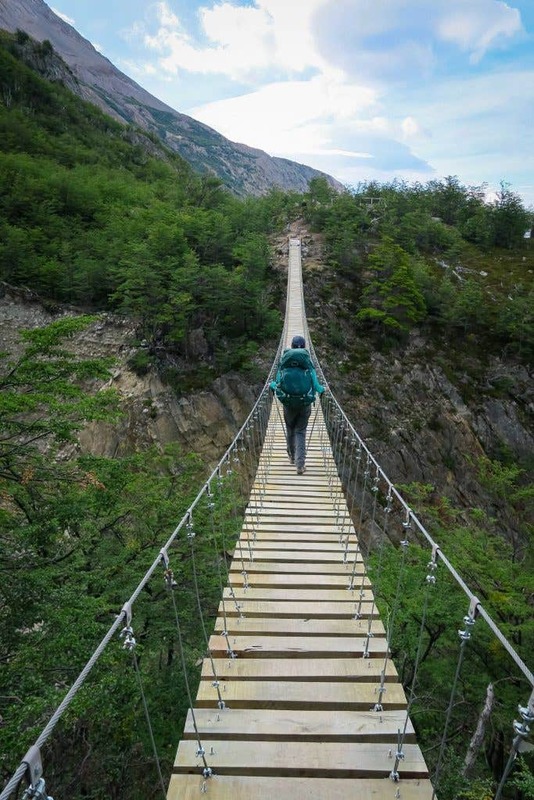 It’s 76km and is the most used hiking trail in Chile. It includes spectacular views of the Gray Glacier, on the west side of the Paine Massif, to the imposing ascent to the base of the Towers, to the east of the mountain range. Among these points is the French Valley, a beautiful green corridor surrounded by steep granite walls. Its name is because, seen in the map, the route almost exactly forms that letter of the alphabet. Walking through these trails will take between four and five days, depending on the weather and how long you want to stay in each place. The other option is “O” or Paine Massive Circuit. It is more challenging and remote than the “W” as it surrounds the entire mountainous massif and includes the “W”. The “O” is 93km in length and only 5% of those who visit the park complete the Paine Massive Circuit as the walk is not easy. For most hikers it will take between 8 and 10 days, requires a good physical condition and appropriate equipment. We chose the “O” as the back half being one way (anti-clockwise) has many less walkers than the “W” giving a great feeling of remoteness and being closer to nature. 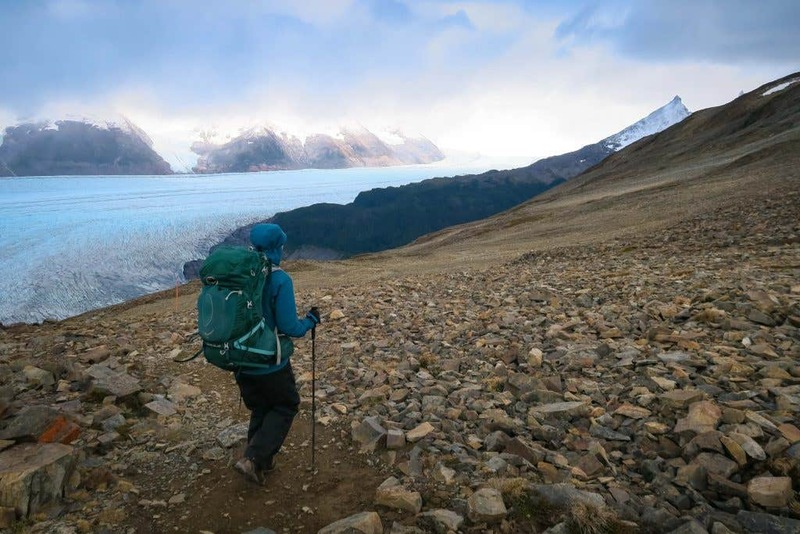 Once hitting the “W” at Grey Glacier you will be constantly crossing paths with people. While the “O” was demanding in sections, we knew it would likely be a once in a lifetime opportunity so why not do the full circuit (as a bonus you also get the bragging rights over those who do the “W”). For most people Puerto Natales is their gateway to Patagonia and with the small airport at Puerto Natales reopening the 2016/17 summer high season it has become much easier than the flight to Punta Arenas and bus to Puerto Natales. If coming from Argentina it is possible to get a bus from El Calafate & El Chalten to Puerto Natales. Puerto Natales is a quaint port city on the Señoret Channel in Patagonia which has most of the supplies you will need for hiking in the Torres. 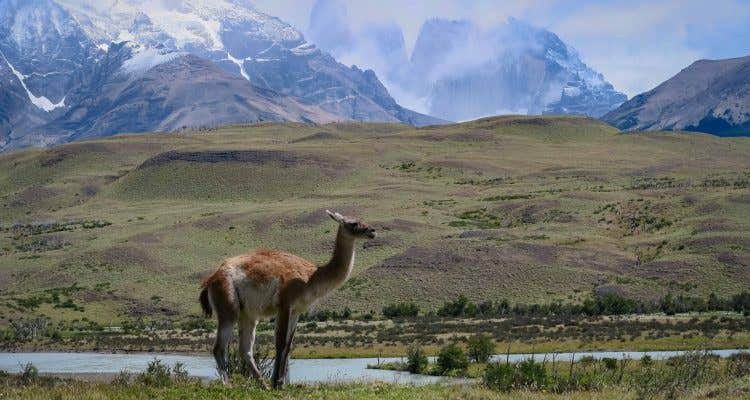 Getting from Puerto Natales to the Torres del Paine National Park is relatively easy with a number of bus companies running from the bus terminal in Puerto Natales through to the National Park entrance at Laguna Amarga and further into the park daily. Each company will have a number of busses running at usual departure time at 7:30am all year and an additional 2:30pm bus during the Summer. Once you arrive to the park entrance at Portería Laguna Amarga everyone disembarks the bus and pays their entry fee ($21,000 Chilean Pesos for a foreign adult in 2016/17). Here you must show your campsite bookings (see below), passport, watch a short video on the park rules and are given a map of the park. For those who are continuing to join the catamaran at Pudeto you jump back onto the bus and for those who are heading to the Hotel Torres to start hiking grab your pack off the bus then get onto the $3,000 Chilean Peso shuttle bus to the Hotel (if you want to save a few Peso this section can be walked within around 1 hour). Regular busses leave from Torres del Paine National Park back to Puerto Natales at two daily times. They can be taken from three points of its route: Administrative Headquarters, Pudeto and Portería Laguna Amarga. 2:30pm hours Porter Laguna Amarga. 7:45pm hours Porter Laguna Amarga. There are a number of shuttle busses (1st one is around 1:30pm) from’ Hotel Torres to the park entrance at Portería Laguna Amarga so you can join the 2:30pm bus back to Puerto Natales. The cost of regular busses to Puerto Natales is approximately $ 7,500 Chilean Pesos for each direction and can be booked on the day of departure at the terminal as an open ended return. We booked ours in the afternoon of the day before departure to make the departure a little less stressful. As mentioned the “O” is usually completed in 8-10 days depending on which camp sites are used. We decided on the itinerary below. 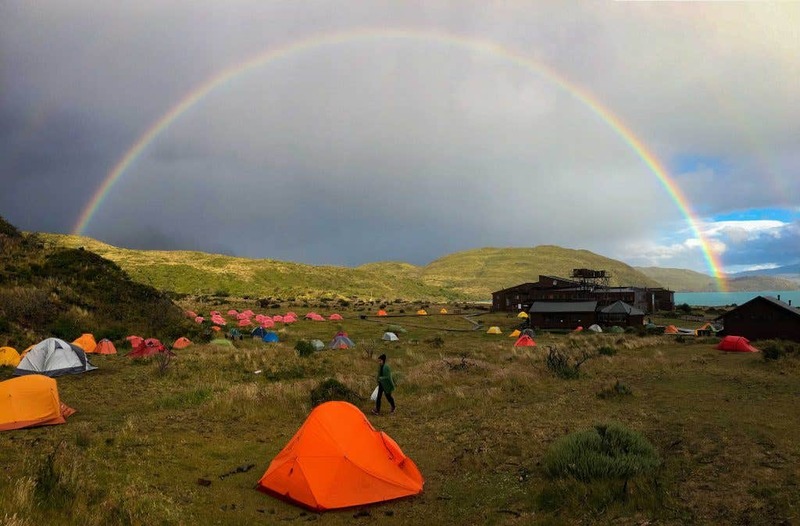 The 1st 3 camp sites (Campamento Serón, Refugio Dickson & Campamento Los Perros) are standard for those who start the “O” at the Hotel Las Torres. When leaving Los Perros on day 4 make sure you get an early start and are on the trail at 1st light if not before as Paso John Gardner can be affected by low visibility, very high winds and closed to hikers if the weather is bad. On night 4 we stayed at Paso which is a free campsite run by CONAF, while it was quite small there is something quite amazing being so close to the Grey Glacier for the night. After Paso you join the “W” track and with that many more hikers heading in both directions so it was nice to be at a quiet campsite for one more night. The hike from Paso through to Paine Grande was a fairly long 18km which includes a lunch stop at Refugio Grey. 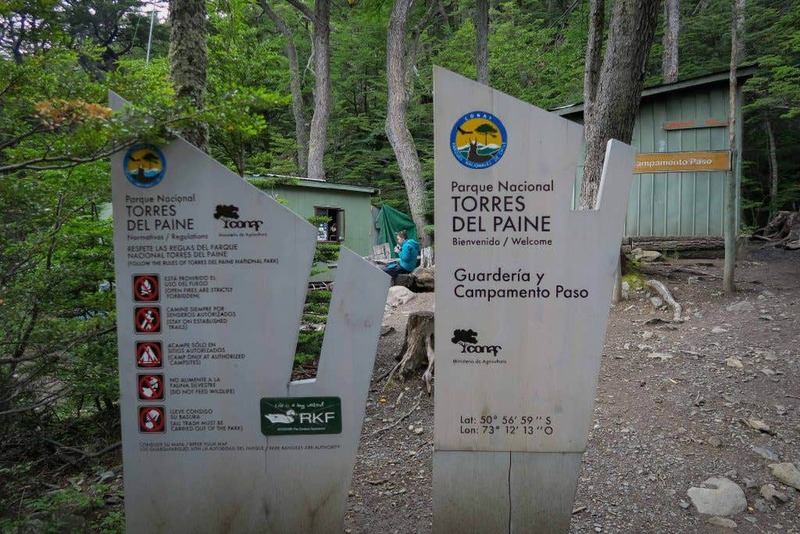 Paine Grande is a one of the largest campsites in the Torres with a large inclosed cooking shelter, small store for supplies of chocolate and a large lodge with a bar and cafeteria for those who are doing the “W” without camping. The bar was a good place to get out of the wind and enjoy a few Austral Patagonia Pale Ale’s and Chile’s famous red wines. From Paine Grande we had a relative short walk to the free CONAF campsite of Campamento Italiano however we used this extra time to our advantage and walked up the French Valley/Valle del Frances (the middle section of the “W”) for a few hours which meant we had a fairly full day on the trail. Day 7’s 22km hike from Campamento Italiano to Refugio Chileno took a pleasant 6 hours. Staying at Chileno was decided on as this would give us a short 1 hour morning hike on day 8 to get to the Torres Campsite (EDIT- Campamento Torres is closed for the 2017/18 season but likely to reopen in 2018/19) and plenty of time in the afternoon to explore around the base of the towers. 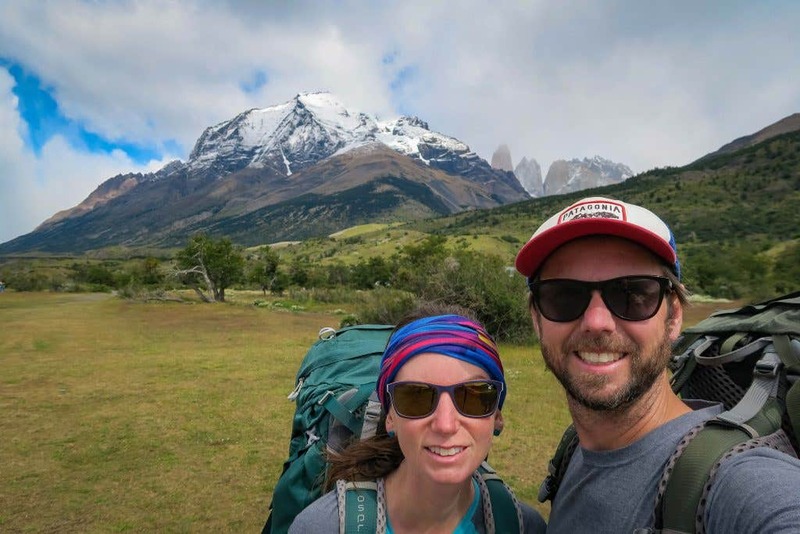 The walk up to the towers from the Torres campsite is just under 2km of relentless uphill, as we were pack fit from 8 days on the trail and over 6 weeks hiking & mountain biking in South America it only took us 40min compared to the recommended 1 hour and 40min. If you are short of time you could easily push from Campamento Italiano onto Campamento Torres, see the towers the next morning then walk out, cutting one night off the itinerary. 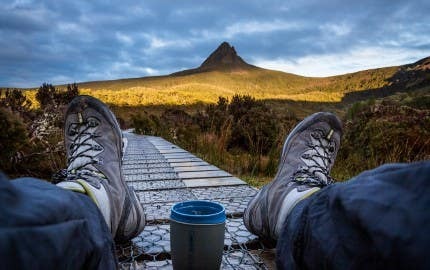 Day 9’s plan was to wake up at 4am to retrace our steps to the base of the towers for sunrise however due to bad weather (heavy rain all night, high winds and snow higher up) the trail to the towers was closed. 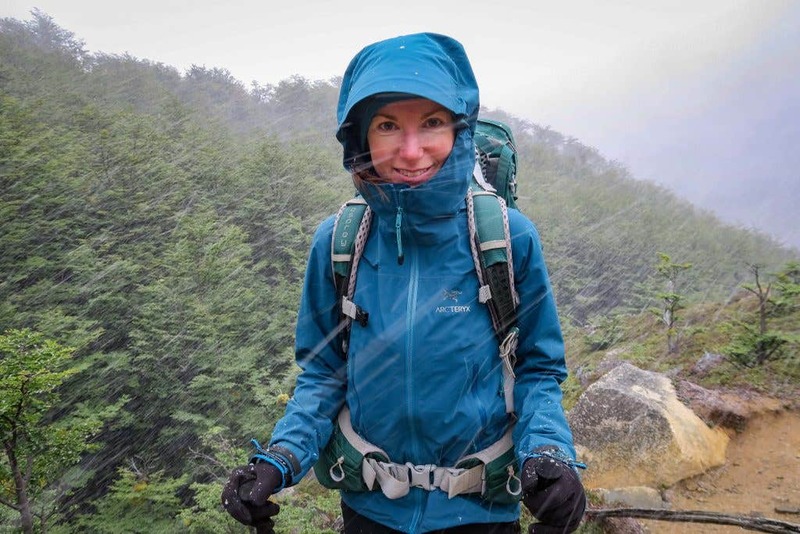 These trail closures should be taken seriously as the day before we witnessed a fellow hiker break her leg on the assent to the towers and the idea of a rugged 10km stretcher ride back to an Ambulance would be a terrible finish to a hiking holiday. So for us we waited to sunrise, pack up our tent and walked out through some snow to our starting point at Hotel Las Torres. This gave us plenty of time to unpack and dry out tent and a couple of other items in the high winds before the afternoon busses back to Puerto Natales. Given the high demand of visitors to walk on the park’s mountain circuits (there has been a tripling of visitors in the last 10 years), it has been necessary to establish restrictions to protect the service capacities of each camp, in order to protect the present natural resources. To spend the night in mountain camps or refuges, it is MANDATORY to have reservations. With that in mind it’s smart to book early. The people we spoke to on the track doing the “O” had booked at least 3 months in advance and there were plenty of stories of people who had to drastically adjust their itinerary as they had not booked early enough. Plan your trip well: clearly define the dates you will be in the park and your itinerary. Remember to download the official map, to know the hiking times and distances between each camp. Depending on your itinerary you will need to book at more than one camp. This means you will need to use the campsite reservation systems which are managed by CONAF, Vertice Patagonia and Fantastico Sur. If you do not get a reservation in all the camps you want to visit, you will need to adapt your itinerary according to the reservations you can get. Remember that without reservation you will not be able to hike your intended itinerary. Make sure you take the printed out hard copies of the booking confirmations as you will need to show these to the park rangers along the way at a number of checkpoints and at the campsites. While you do not need special reservations to enter the park, reservations are necessary to spend the night in camps or shelters. 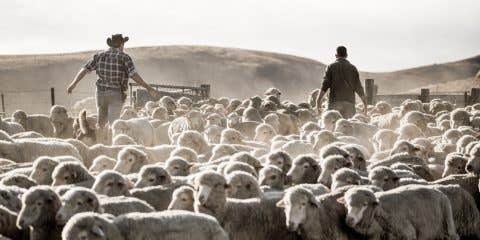 We made the decision to bring our own Back Country Cuisine & Outdoor Gourmet from Australia. Even though this meant we carried it for close to 5 weeks around Sth America before we started the “O” it was one less thing to worry about, gave us plenty of variation and the envious looks from our fellow hikers made the decision I feel a good one. We purchased all of our snacks, lunches and breakfasts in Santiago from a large supermarket to save money and the need to run around Puerto Natales in the few hours between the time our plane landed and the shops closed as we were on the bus 1st thing the next morning. That said Puerto Natales is easily large enough to get all of the food supplies (including dehydrated meals if preferred) you will need. Just be aware that shops may be closed on Sundays or holidays, the selection could be limited if you have diet requirements, you may need to be happy to have a less varied menu (plenty of people on the track were eating days of tuna pasta in a row) and it will be a few Peso’s more expensive. Layers, layers and layers. The weather in Patagonia varied immensely with everything from high winds, sunshine, rain and snow a daily occurrence and often all within the hour. 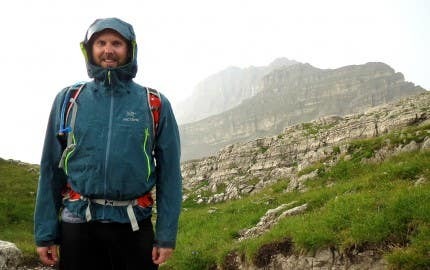 A base layer and shirt (tee or long sleeve) are a good start with a fleece and rain jacket at the top of the pack if the rain gets heavy or it is cool from cloud cover. A down or synthetic filled jacket was used daily around the campsites during the morning pack up & in the afternoon/evening once arriving to the campsite. For the legs trekking pants or shorts were perfect for the day, however a set of Icebreaker thermals was taken for around the camp and to sleep in. We also had a set of waterproof overpants which were vital for some days when we had hours of constant rain. The usual socks, undies, cap/hat for sun protection and a beanie were also taken. 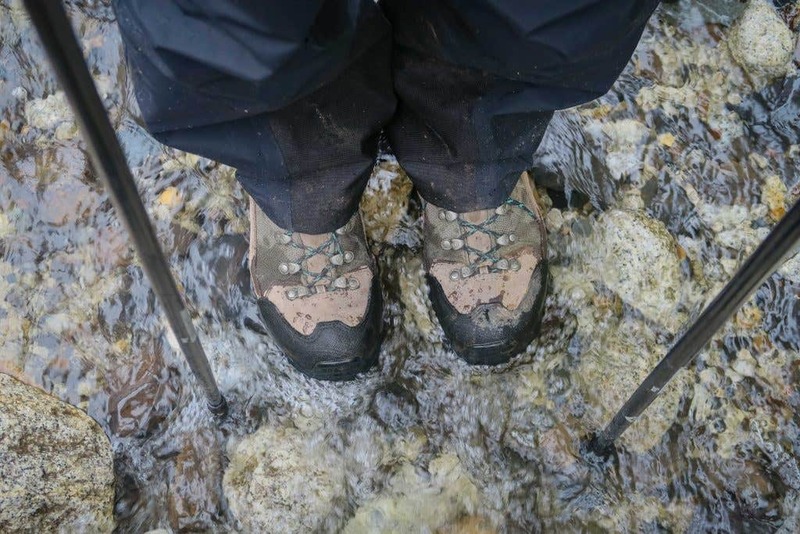 Sturdy waterproof boots such as the Scarpa Kinesis Tech Gore-Tex or Nangpa-la Gore-Tex are recommended due to the rain, mud and a rough trail. Try not to take to much clothing, in reality due to low humidity and cool weather you don’t sweat heavily. 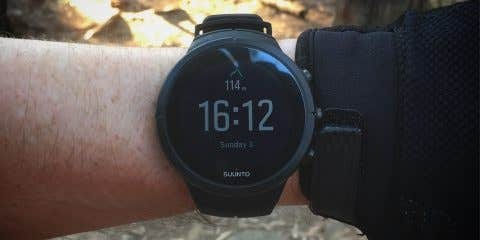 So you can easily get away with two shirts, one pair of trekking pants, shorts, 3 pairs of socks and undies for the “O”. A quick hand wash can be used to keep them fresh if needed. 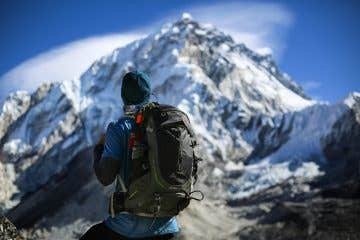 First thing you will need is a supportive pack to carry everything in. We used Ospreys Atmos & Aura AG packs and all of our fellow hikers who we came across using Osprey all raved about the comfort. Pack covers are all but useless in Patagonia with the high winds blowing many off. For this reason and to guarantee waterproofness a pack liner and multiple dry bags were used. 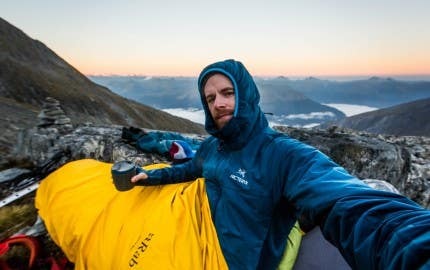 For sleeping we had Western Mountaineering Summerlite sleeping bags that are rated to 0 degrees and coupled them with a Sea To Summit thermal liner to boost the system down to around a negative 5-10 degrees comfort. This was definitely needed with some nights dropping below zero. A full length Thermarest Neoair for a compact but still comfortable sleep and for a slice of luxury we had a inflatable pillow from Sea To Summit. A 3 season tent with a number of guyline points is required to handle the high winds and cool temperatures. We saw plenty of MSR, Marmot, The North Face and Nemo tents on the track which all handled the weather. 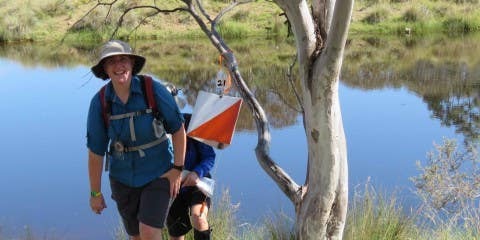 Personally we took a pre release of MSR’s new Access 2 which worked a treat in the 90km plus winds. Access to water on the trail could not have been easier with fresh clean streams crossing the trail every 3o or so minutes. This gave us the luxury of only needing 1 Nalgene Wide Mouth bottles each which we refilled upstream of the trail when required. A Steripen was used to purify our water when filling from around campsites just to be safe as gastro is no fun while trekking. Trekking poles are a must for helping to stabilise while going down steep hills and slippery trails. They can be hired in Puerto Natales however the quality can be a bit iffy. The Black Diamond Distance Carbon Z-Pole are a great option they are light, easy to use and compact so when transporting them in your luggage to and from South America you won’t even notice they are there. To keep us fed we used MSR’s WindBurner stove system which operates quickly, reliably & is basically windproof which is handy for cooking in the Patagonian wind. The stove was amazingly efficient and only used less than 1 227gm canister over the 9 days of cooking meals and cups of tea and coffee. Isobutane/propane fuel canisters are easily purchased in many of the equipment stores in Puerto Natales as you’r not allowed to carry fuel canister on an airplane, for obvious reasons. In regards to taking your stove onto planes the TSA Rules state you are allowed to bring a stove and fuel bottle in checked or carry on baggage, but ONLY if you take the time and care to empty it of all fuel and clean it so there are no vapors or residue left. If you do not clean the stove thoroughly flammable vapors will remain, and those can lead to confiscation. I recommend storing your clean, dry stove in its stuff sack and packing it in a checked bag. I also recommend printing the TSA travel document (I also translated the document into Spanish using Google Translator) and wrapping the stove with it. Leave another copy of the document in your luggage. Include a summary of the stove, bottle (if taking an empty and clean fuel bottle) and parts so the agents have a good idea what they’re looking at. thank you for this article – it helps me so much! 🙂 I´m just planning my O trail and actually I´m stuck in these camp reservation system.. I´ll be there on October and almost nobody can give me confirmation or reply on my email if I ask them (Conaf etc.). It´s look like the O trail is open since November.. is this possible? Any advice what I suppose to do? When booking I had a few issues with the websites. So I emailed them and they were able to manually reserve a site for me. Excellent info! I have a question perhaps you might able to answer. We’re going to rent a car from Santiago and make our way to TDP slowly. My question is when we get there, are we allowed to drive into TDP and leave it at the trailhead or maybe the hotel while we do the the O circuit? Thanks, glad we could help you. There is a car park at the entrance to Hotel Torres where you could pack your car. We saw plenty of the day trippers parking there as well as what looked like the cars of people doing the O or W treks. Thanks again and enjoy the trek!! Thanks, Dave. Parking info is hard to find so I appreciate it. If you don’t mind I have a couple more question. We’re too late booking Camp Paso and Italiano so that means we’re gonna have to push over John Gardner pass but it’s relatively easy once over the pass, yes? Then the next day our goal is to hike from Camp Grey to Camp Frances which looks like there isn’t much elevation gain but roughly about 20kms in distance. Does that sound right to you? Lastly, We’re bringing all our backpacking equipment but airlines prohibit carrying bringing fuel for our small MSR stove. Any recommendations for a good place to buy fuel for the small stoves between Santiago and TDP, preferably in Santiago since we’ll be driving for a week before we get to TDP? Plenty of hikers pushed through to Grey. Once you get over the actual Pass and past Camp Passo the walking eases off. From the Pass to Camp Passo its pretty steep and slippery. Grey to Frances is a solid day but as you said the vertical gain isn’t to bad and again lots of hikers do it this way as well. Buying fuel is pretty easy at the local hiking stores in Santiago La Cumbre was the best we went to (they are alos the importers of MSR into Chile. You can get gas canisters (local brand that fit the MSR stoves) at Puerto Natales at the Erratic Rock backpackes/pub/gear hire shop. If you go later in the afternoon after the buses return from the park you could be lucky and score an all but full canister from the returning hikers who put their unused gas into a freebie bin. The Base Camp Pub also does good local beer and fresh made to order pizza. Finally got a reply from Vertice Patagonia. Now it looks like Camp Grey is also all booked. Looks like we’re gonna have from Los Perros to Paine Grande. That’s doable but yikes! Thanks for this amazing article! My question is around reservations: I took your advice to email, but it’s been over a week and I’ve heard no reply. Is that what you experienced? Also, since you don’t need reservations for the CONAF free sites, do I still need to contact them in advance? Should I email over and over? We booked in in early October for a mid Jan trek. Hello, thank you so much for this helpful post! What beautiful photos. I was curious — did you reserve a spot for all 8 nights? Even the CONAF sites (these seem to be unavailable)? Also, how far in advance did you book? Hi, me again. 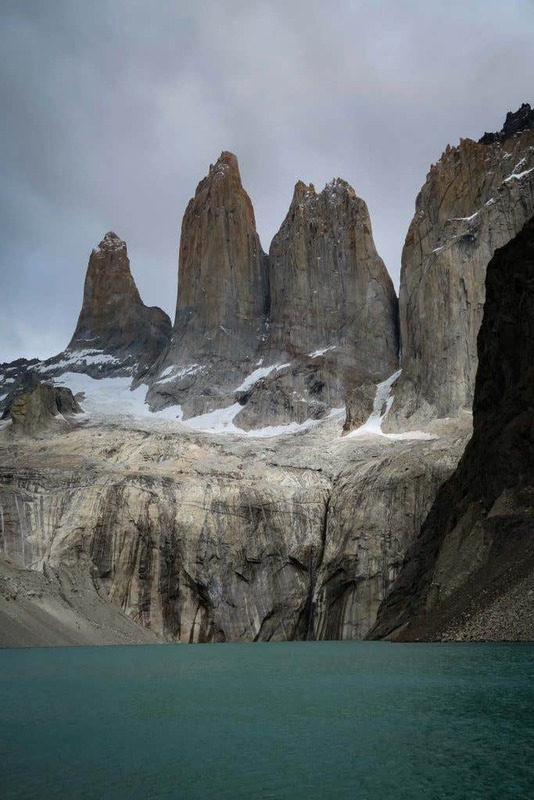 I actually figured it out, but I was wondering if you have advice on staying in Camp Chileano for two nights would be a good idea — Torres is booked, so I figured I could hike the towers from there and have a longer exit? Thanks, again!!! This blog post has been a huge help. Sorry about the delay been away from the desk for a few days. There were plenty of groups who we came across who stayed at Chileano as Torres was booked out. Either two or one nights would work. If you go for two it would give you a more relaxing walk out as you could hang out at Chileano after seeing the towers then walk out after the second night in a couple of hours. However Chileano is quite expensive as you need to eat there. To save a few pasos you easily stay one night hike up to see the towers in the morning then collect your gear on the way out to the bus. One night would be my preference as I was a little unimpressed by Chileano and if I was to stay an extra night after seeing the towers it would be a bit of an uninspiring finish to the trek. Yes, thank you Dave! I am only staying there for one night now. Thank you so much for your help and blog post. This post cleared up the trip planning so much for me. We camped in tents each night on both the back half of the O and the W part of the trek. Many of the private campsites run by Fantastico Sur & Vertice also have the option to hire a tent that is permanently set up. On the back of the O both Campamento Serón & Refugio Dickson also had options to stay in the Refugio. Yes that’s correct there are plenty of options on the W when staying in a Refugio or camping in atent is possible. 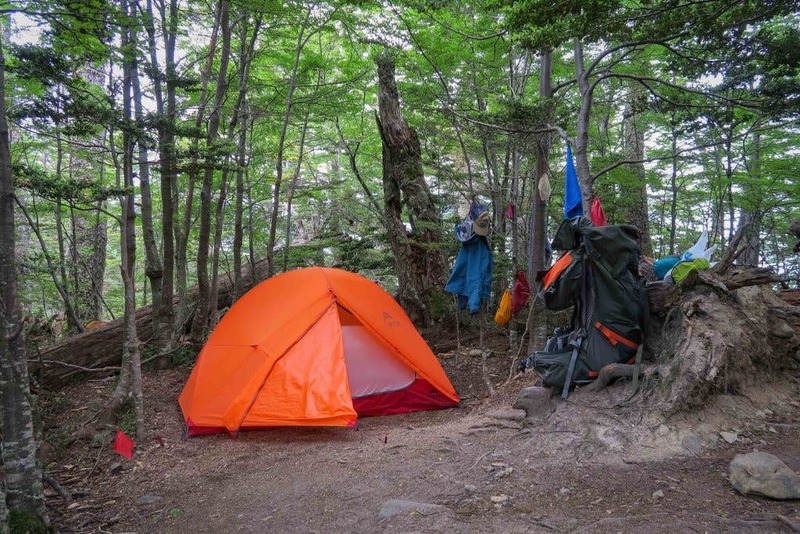 All of the CONAF campsites including those on the W and the Vertice run Campamento Los Perros do not offer a Refugio so you need to stay in a tent to stay at these camp sites (as mentioned above you can hire a permanent tent at Campamento Los Perros). Yes you need to book the campsites in advance. With the large numbers now visiting the park the rangers are very strict with the paperwork showing your booked sites. We saw some people turned away at the entrance, at check points on the circuit and plenty of people scurrying around Puerto Natales trying to book last minute sites for later that week (with out much success). Unfortunately this does mean that you cant be as flexible with your start dates as you would like. I am currently investigating booking campsites to complete the O Circuit in February or March of 2018. I am looking at FantasticoSur bookings for one night of up to 130USD. Does this seem right to you? I have my own gear and just want to pitch a tent for the night. I also do not think there is any availability with any of the CONAF campsites for 2017/18 left. Do you have any suggestions or does it look like I will miss out this year? In the case that I can’t book the O-circuit or W-circuit do you know if there are other multi-day hikes in the area which you do not need to book for? Camping at Refugio Chileno which is run by Fantastico Sur was really expensive (US$120 for the 2 of us). This did include (Full Board) food as well. 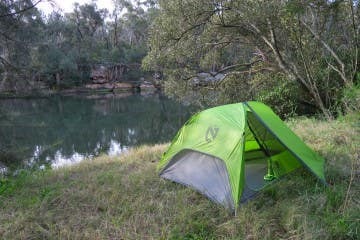 However at the other campsites we chose the simple campsites without full board. Below is a link to this seasons Fantastic Sur prices. We did speak to some people who had to choose the camping and Full Board option at some of the private camps as the simple camping had sold out and this was the only way to get onto the track. Others needed to book a guide as the guides had organised campsite bookings. You could do the circuit by skipping the CONAF campsites and just use the private (Fantastico Sur or Vertice) camps. Would be a bit more expensive though. Hi Dave. Communicated with you earlier this year. Thanks for your information. FYI there is no camping at the CONAF Torres site for the 2017/2018 season. Thus, we have two nights at the Chileno which is only available with full board. Refugio booking is really clunky and took a couple of months to complete as neither Vertice nor Fantastico were taking bookings and CONAF was not available until 6 months prior. We completed our bookings in September of this year from Provence. Fantastico booking site was not friendly with our tablet and resulted in a double payment. A nice surprise is that Argentina has dropped their reciprocity fee. Have been working on the blog, mostly for our own reference but may be of use to others? Thanks for the update Tony. I have added the closure of The CONAF Torres campsite which doesn’t surprise me as it was in need of some TLC. 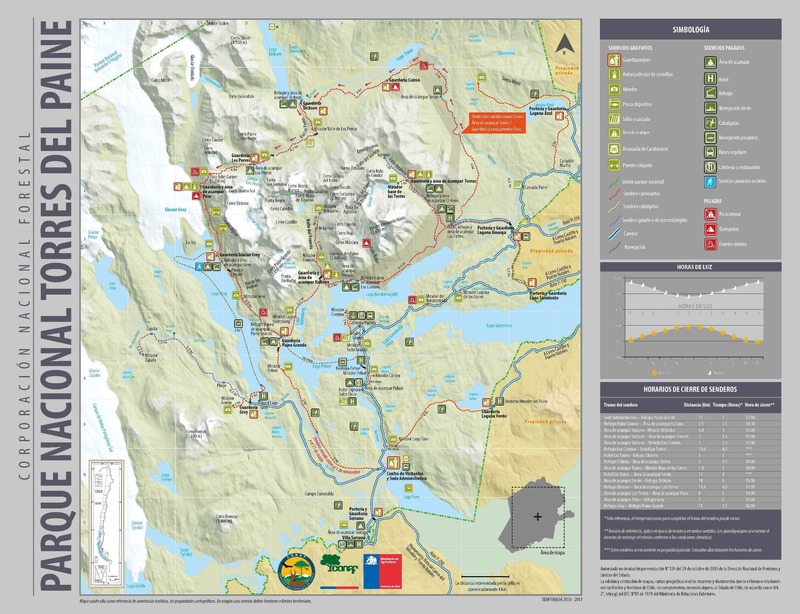 I have booking for the o circuit in February 2018 except from Las Torres to Paine Grande but not the last part of the W. So was thinking of leaving Paine Grande with the catamaran to Pudeto Jetty and then hike from there back to Las Torres to catch the bus back to Puerto Natales. Do you have any experience with that option? Sorry we didn’t use the catamaran so I’m a little unsure of how it works. We did see plenty of people coming in on the catamaran walking up to Glacier Grey, around to the Torre and to Las Torres for the bus back to Puerto Natales over 3 to 4 days. On the W you can walk in either direction but the O you can only walk in an anti clockwise direction. Great blog, with heaps of useful information – Thank you! I plan on doing the O circuit in 2019 and really looking forward to it!! About the backpack, I am a small female (5.2ft) and i am not sure what size back to use? 50L or 65L? I live in the Cayman Islands so I do not have the ability to go to the shops and try the bags etc, i have to buy everything online so it makes this part of my trip pretty difficult. Any advise on this size? 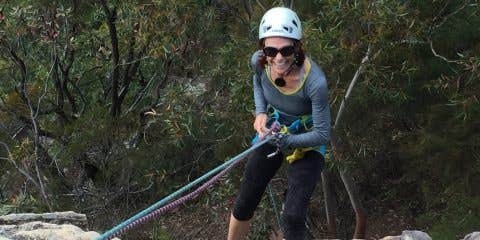 My wife used an Osprey Aura AG 65. We did the hike unsupported so we carried all of our own gear (food and equipment) and the pack was basically full (I carried a the greater share of the bulky weight as I’m 30kg heavier, close to a foot taller and had a larger pack). If you used the full board option (refugio’s supply breakfast and dinner) you could get away with a smaller 50L but if you are planning on taking all of your food and equipment the 65L would be recommended. Your blog was very helpful, thank you! My husband and I are planning to do the O Trek in December 2018, starting planning early. We haven’t yet looked into booking, but by the sounds of some hiccups others have had, sounds like we should start now. We will be flying from Toronto, ON, Canada, bringing all of our gear with us, including food (mostly dehydrated). 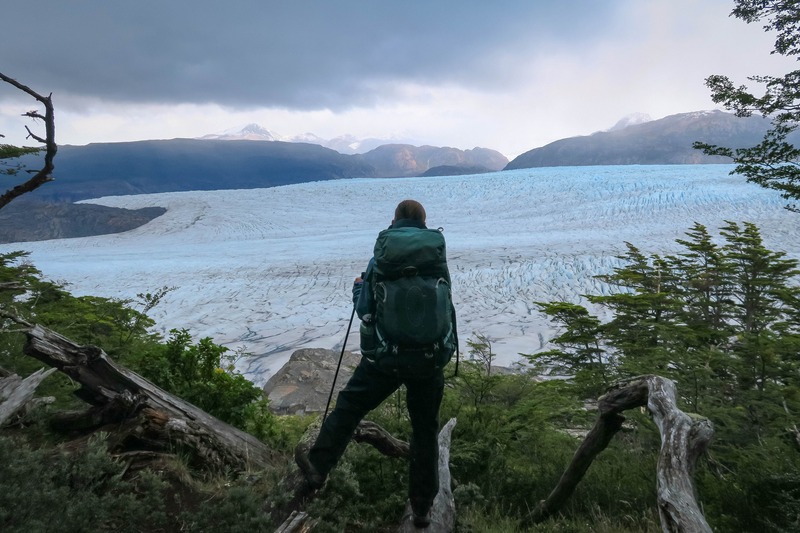 Here’s one concern I have – we have two packs 50L and 45L – I wish to bring it as carry on – as I would hate them to lose my luggage on the way to Patagonia. That’s one reason why we’re trying to get away with smaller packs. And we’re thinking to DHL some items that we are not allowed to bring as carry on. Any tips on comments on this plan? Should we just opt out for bigger packs and check them in? Any experience with picking up packages from DHL? We are looking into a lighter tent (currently we have the MSR Elixir 2) – any recommendations? Also lighter and compact sleeping bags with the capability of packing as small as a coconut (currently we have -9 sleeping bags with 650 down fill and mummy shaped) Any recommendations? 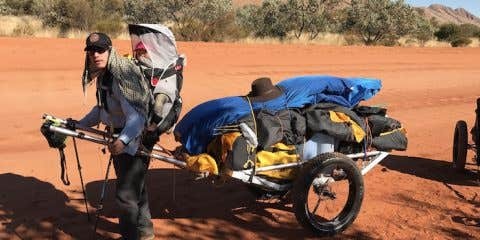 I had a had 65L Osprey Atmos AG and Zuzi a 60L Aura AG packs and they were pretty full on the trek. We brought all our own freeze dried dinners, tent, sleeping bags, mats etc from Australia. Lunches, snacks and breakfasts we purchased locally in Chile. As our trek was at the tail end of 2 months in South America we traveled with our equipment for the entire time before we started the trek so this made the need for the larger packs a necessity. We didn’t have any issues with checking in the packs on the 9 flights + 10 or so long bus trips we went on. Freighting with DHL wasn’t something we thought of but I feel there could be a greater chance of it not arriving on time than checking it in on a flight. We saw plenty of MSR Exlir’s on the track. It should be fine, just make sure you have extra guylines and pegs for the wind. Re the sleeping bags we had Western Mountaineering Summerlite’s which are good to about 0. To boost the bags for the colder temperatures we used Sea To Summit Reactor Thermolite Extreme Liner which adds around an extra 10 degrees of warmth. This was fine for both us including Zuzi who sleeps cold. Your neg 9 bags with a silk liner to keep it clean should be fine. Hi Dave, probably the last question before we head off next Friday. Wonder if you have any thoughts or indeed if you took Clif Energy Bars with you? This is in relation to them having nuts in them / more importantly nut on the label. BTW, it would appear that even transfer buses are filling up (In & out of Punta Arenas, Puerto Natales, El-Calafate, El-Chaltén). Self reply. Declaration of food items at Santiago just means ticking a box. Absolutely no problems with Clif bars or freeze dry meals. Presently in Puerto Natales. Glad we brought meals from home. Much cheaper and more variety. 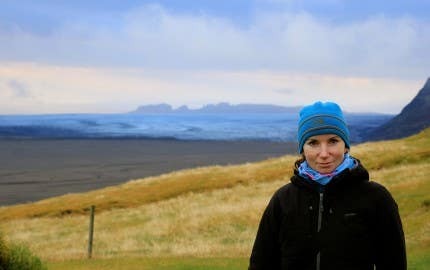 thank you so much for all the info, planning to do the hike Jan – feb 2019.
really so cool of you to write such a good article. We didn’t have any issues using our stove on the hike. All of the camp sites have tables where you can use them.